The field of autism is riddled by several unsolved mysteries. 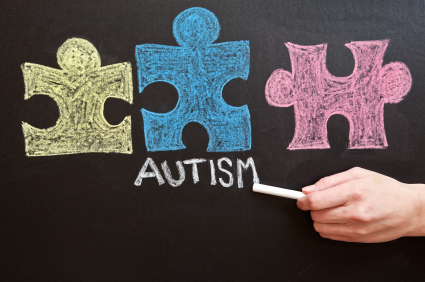 One concerns the rate of children who suffer from autism spectrum disorders (ASDs). A study released last year by the CDC’s Autism and Developmental Disabilities Monitoring Network used school behavioral assessments and clinical reports of children who were 8 years old in 2008 and applied a standard checklist of criteria for diagnosis. This study said that the likelihood of ASD was 1 in 88 in the United States. A new study published this March (2013), was based on a 2011-2012 phone survey of parents with children aged 6 to 17 years of age and identified as many as 1 in 50 of those children with ASD. The new study noted that the increase may have included children with milder cases and may have been the result of diagnoses of children with previously unrecognized ASD. However, whatever the actual number, these are shocking figures. A second unsolved problem in the field of autism is how to identify infants who will later be diagnosed with autistic features. Since there is evidence that targeted educational therapies started at a very early age can make a difference in later social development, a number of current clinical studies are focused on the challenge of early infant identification. The importance of this problem can not be overstated because medical therapies, possibly even curable ones, are already in the pipeline for certain individual disease entities with autistic features. A third deeply troubling unsolved question is in regard to the etiology of autistic behavior. In the 1970s, the earliest reliable epidemiological studies showed about 2 in every 1000 children were diagnosed with autism or an autistic-like impairment compared to today’s dramatically different prevalence figures noted above. Are these increases solely due to more accurate and complete diagnostic acumen or are one or more other factors also involved? There are many studies examining this unresolved controversial problem. But one important mystery about autism has been solved. The belief that autism was a single disease, as originally described by Kanner, is known to be incorrect. The first clues came from biochemistry where blood results were so variant that they could not be used to predict a result in a child diagnosed with autism. For example, blood studies of the neurotransmitter, serotonin, was found to be elevated in some children, within normal ranges in others or below normal in a third group. Recently with the advent of genetic research, an explosion of new information is now available and has established that autism is, in fact, many different diseases. A constantly increasing number of distinct individually rare genetic and genomic causes of ASD are being reported. The evidence is building that the genetic architecture of ASD resembles that of intellectual disability with its hundreds of genetic and genomic disorders involved, each accounting for a very small fraction of cases. The mutations found in these children with ASDs fall into two groups: those with family members who also have the mutations and those with that occur de novo. Regarding familial studies, studies of identical twins have shown a markedly increased (but not 100%) co-occurrence of autistic features in such twins compared to fraternal twins. And there is evidence of autism risk across generations. For example in a recent Swedish study, a statistically significant association was found between advanced parental age at the time of the birth of the parent and the risk of autism in the grandchildren. Regarding de novo studies, the recent whole-exome sequencing studies in populations of autistic children have showed an increased rate of these rare de novo mutations. Just as we know that intellectual disability is a series of neurodevelopmental syndromes due to chromosomal imbalances, submicroscopic deletions and duplications called copy number variants (CVAs), classic genetic mutations, infectious, endocrine and toxic etiologies — so is similar information now being published and accumulated in the literature about children with ASDs. There are virtually no studies on intellectual disability as one single disease entity any more. Although a majority of children with autism still remain without a specific diagnosis at this time in medical history, each month the number of idiopathic cases decreases. Imaging, a variety of genomic techniques and rodent models are helping us progress in our understanding of how autistic features occur. Rather than look at autism as one disease, a more sophisticated subgrouping of patients with ASD in research studies is now needed. We also need to slowly and painstakingly determine the etiology in each beautiful child, one by one, who presents with autistic features. 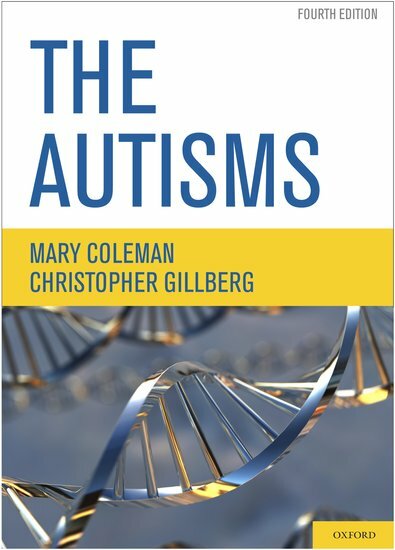 Mary Coleman MD is Medical Director of the Foundation for Autism Research Inc. She is the author of 130 papers and 11 books, including six on autism. Her latest book is The Autisms, Fourth Edition co-authored with Christopher Gillberg MD. Read her previous blog posts “Can a child with autism recover?” and “Is there an epidemic of autism?”. Subscribe to psychology articles on the OUPblog via email or RSS. Image credit: A hand writing the word Autism on a chalkboard under colorful puzzle piece drawings. Image by sdominick, iStockphoto.